Your Bathroom Remodeling Vienna VA can greatly improve the look and feel of one of the most important rooms in any home. You want a bathroom that is clean, filled with light and functional. 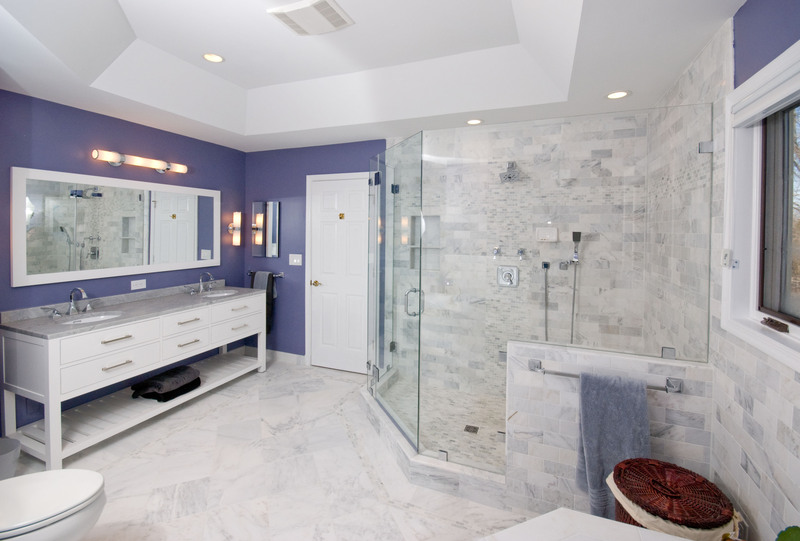 An improved bathroom can also add value to your home that will pay off when you sell it. If you’re thinking of remodeling this part of your Virginia home then you might be wondering exactly what doing so entails. You might also be wondering how experts in home improvement like those at Beckworth can help. Keep in mind that this sort of home improvement project includes many things. It can range from a simple paint job to an expansion of the entire space and replacement of all existing fixtures. All Virginia bathrooms have certain features. In smaller bathrooms, you’ll typically find only a sink and a toilet. Larger bathrooms may have many features including a shower stall, a tub and even access to an outdoor space like a terrace as well as lots of storage. You should think about the changes you want to make before you start your own remodeling project. You might simply want to update all the fixtures and make the room look nicer. Or, you might want to carve out additional space from other areas in the house and add entire bathrooms to your home. At Beckworth, we know how to help our clients figure out what’s important to them in their home and how to get it quickly and easily. We can bring out lots of plans demonstrating how we have transformed previous spaces into something truly special. We’ll show you what happens when you put in new flooring, heating, light, a toilet, storage and a tub. We can take any existing bath and recreate it to your exacting specifications and style. Many of our clients have a look in mind. They may love the ideal of country French with lots of wood or a modern look incorporating lots of glass and metal. Many people have traveled and want to use ideas like soaking tubs they’ve seen in other places at home. Many people also have a color scheme in mind like pale blues or dramatic red. They might also want to see a room with a lighting for makeup and a skylight so they can bathe in natural light. As experts in the field, let us show how to get the look you want. Call us now at: 703-570-6777 or contact us here. You can also check out our reviews from your neighbors about our Vienna VA Bathroom Remodeling or check out more examples of our work on our Facebook. If you’re considering a Bathroom Remodeling Vienna VA feel free to give us a call for a free quote (703) 570-6777, or Contact us here. You can also find good resources on our Blog or Facebook.